Some videos and articles for your education. Copy and paste the links. An excellent article by Rebecca Bryce.﻿ See link directly below. Another terrific video discussing the importance of your gluteus medius muscles. www.criticalbench.com. Excellent article by Kendall Schmidt . Well worth sharing. Imagine a strong, powerful, confident person standing in front of you. What kind of posture does that person have? Undoubtedly, the person in front of you is standing tall with an open chest and a head held high. It's a person who looks ready to take on the world. 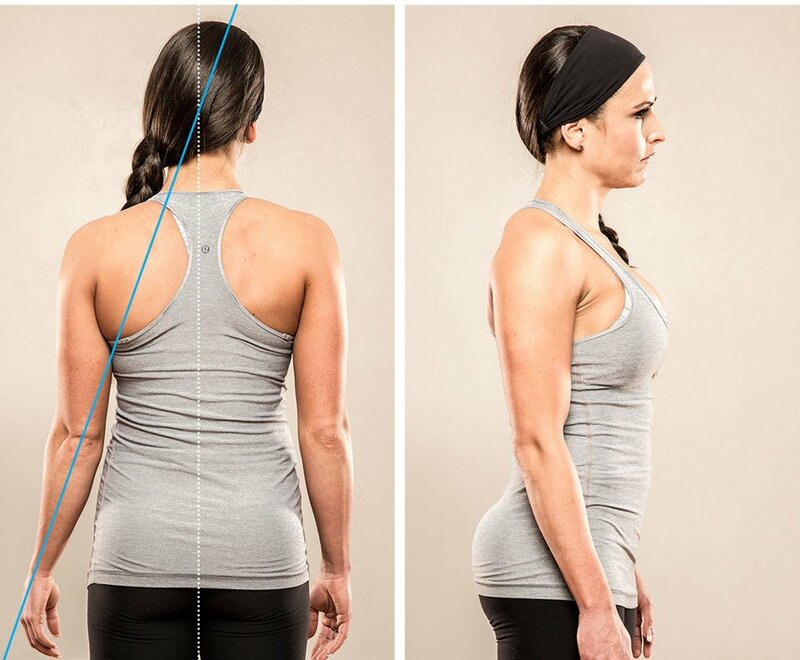 How you look and feel is directly related to your posture. 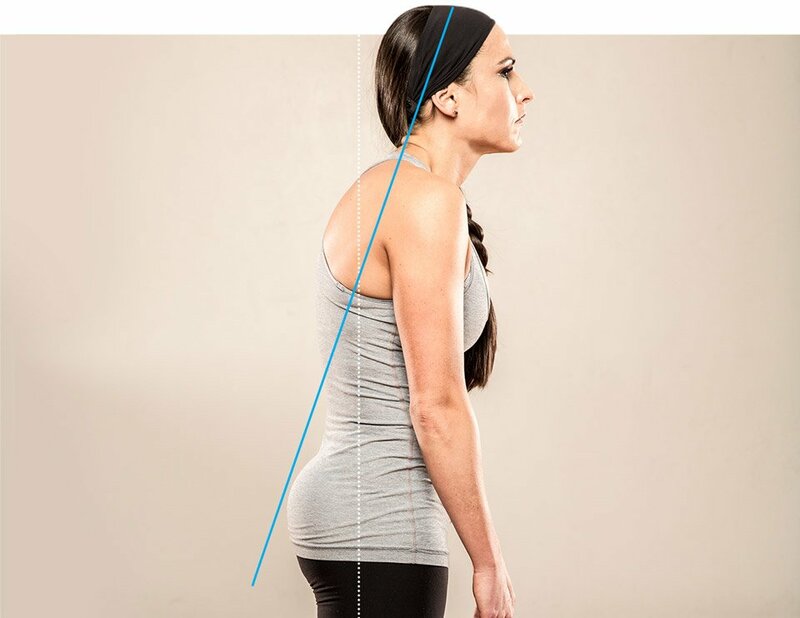 Despite the importance of having good posture, most of us don't do anything to improve it. We go about our lives with hunched backs and imbalanced hips, and deal with pain because we think it's normal. To solve a problem, you first need to pinpoint the cause. Most postural deviations occur because the muscles that work to hold a joint in place are imbalanced. Generally speaking, one muscle group will be too tight and the opposing muscle group will be too loose or weak. For example, those with shoulders that hunch forward too far often have tight pec muscles that pull the shoulders forward and rotate them in toward the midline of the body. Pair tight pecs with weak back muscles and you have an imbalance that pulls the shoulder girdle away from its ideal position. When imbalances like these occur, overactive muscles compensate for underactive muscles, which causes tension, fatigue, and discomfort. The easiest and most effective way to correct imbalances is to stretch the overactive muscles and to strengthen the underactive muscles. 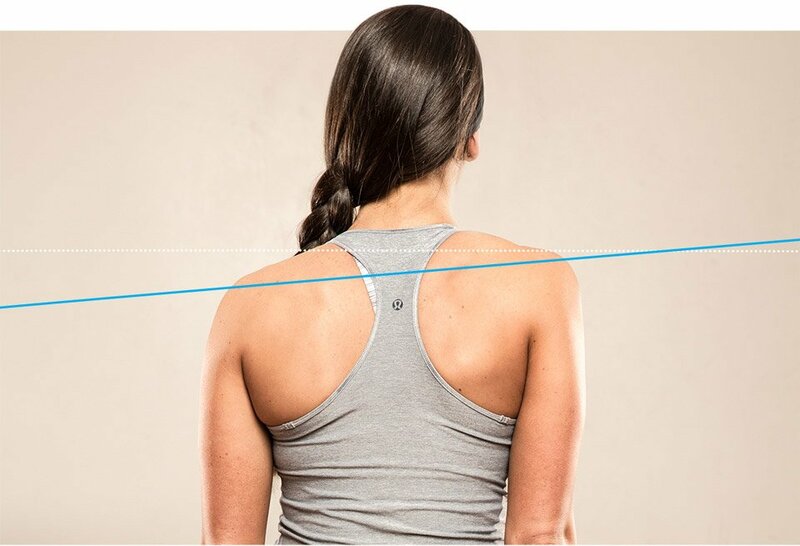 Put on form-fitting clothes so you can see your alignment. Stand barefoot, tall but comfortable, without trying to force yourself into what you think is perfect posture. To get an honest assessment, close your eyes and march slowly in place a few times. This will allow your feet to turn in and out naturally. Bring your body to a stop and stand still. Have a friend take a full body picture of you from the front, the side, and behind. Notice that, in this photo, the joints are stacked. The ears are over the shoulders, the ribs over the hips, and the hips over the heels. The pelvis and spine are in a neutral position. If this is what your body looks like, you're doing well! If your body doesn't look aligned, you might have one or more of the following postural deviations. Here's how to spot these deviations and the stretches and strengthening exercises you can do to fix them. Underactive muscles: Sternocleidomastoid tilted away from midline. Overactive muscles: Internal and external obliques, hip abductors, erector spinae and quadratus lumborum on the raised side (muscles along the side of waist and outer hip, low back, and the hip.). Many other tissues in the knee, ankle, shoulder girdle, neck, and low back may also be overactive. Strengthening exercises: Avoid high-impact and high-repetition exercises (running, plyometrics, etc.) until the pelvis is aligned. This will reduce the risk of secondary injuries in the ankle, knees, hips, and low back. Like your shoulders, hips, and back, your feet and ankles have a proper alignment. Properly aligned feet and ankles should face forward, rather than turn inward or outward. 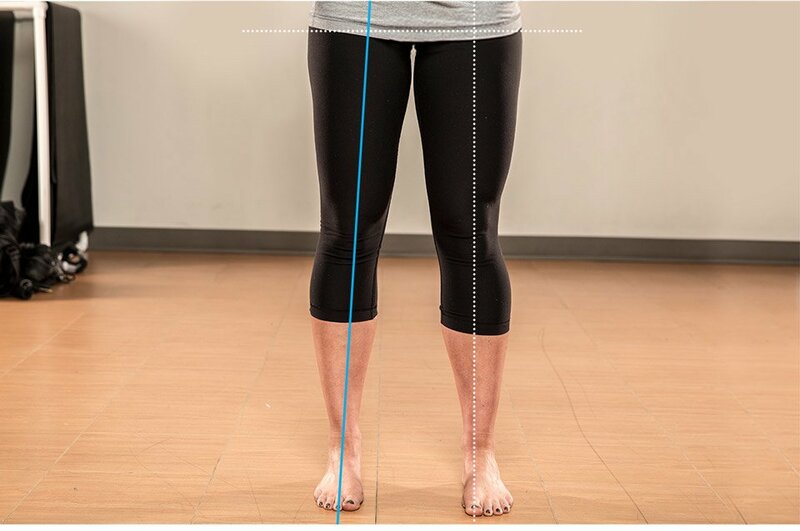 Here are some common postural deviations for the feet and ankles. If you notice that you have one or more of these issues, try the stretches and strengthening exercises to alleviate issues. 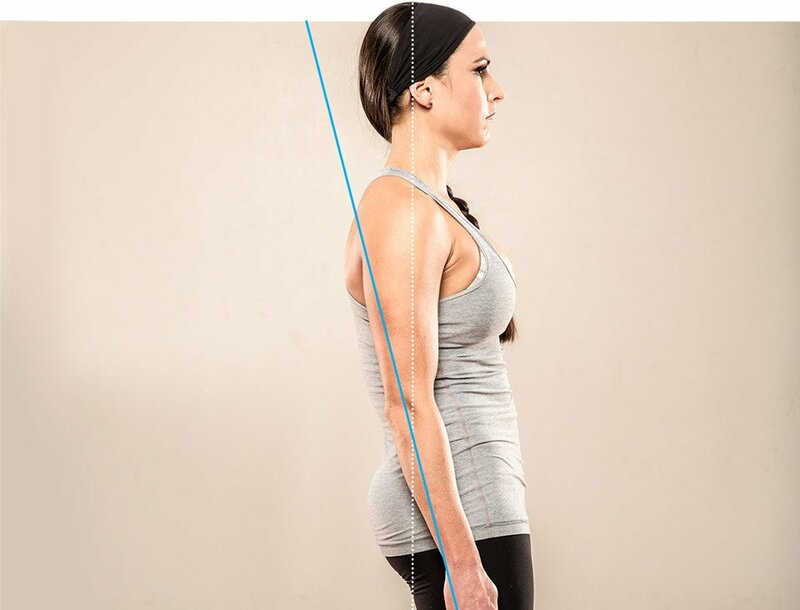 Now that you know what to look for, it's time to assess your own posture. 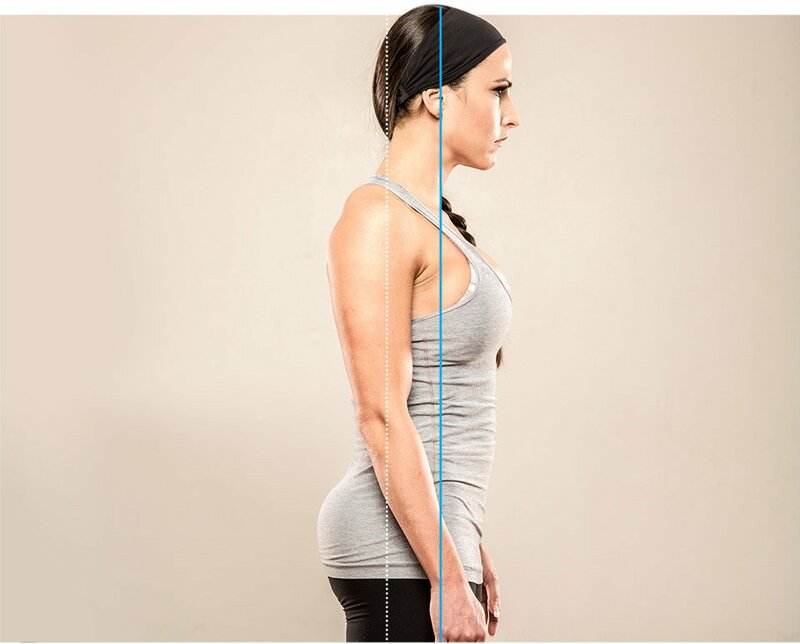 If you notice any of these imbalances in your photos, utilize the stretches and strengthening exercises to correct them. Implement the strengthening exercises into your regular routine as needed. For example, if you have upper-cross syndrome, do the strengthening exercises like rows and shoulder rotations on your back day. I suggest 3 sets of 8-12 reps.
Save static stretching for the end of your workout. Perform stretches so they produce a slight pull on the muscle, but are not painful. Hold each stretch for 15-30 seconds, and repeat a total of 3-5 sets. Keep at it and soon you'll notice some excellent results: You'll feel better, look better, and lift heavier! Copyright 2009 James Fitness. All rights reserved.